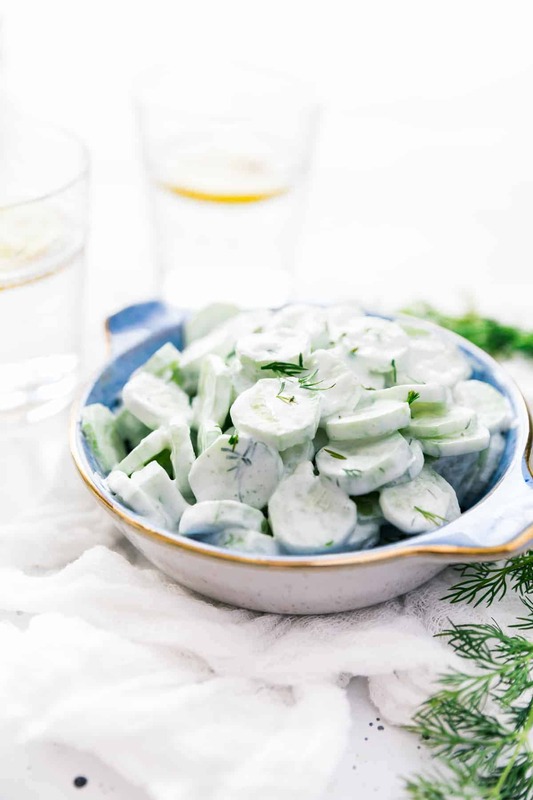 Midwestern Creamy Cucumber and Vinegar Salad made with fresh cucumbers, sour cream, vinegar, and fresh herbs – a summer staple for every picnic and cookout! Who else is getting so excited for all things summer? I love hiking, swimming, and of course, eating summer foods! This creamy cucumber and vinegar salad was a staple growing up in Indiana, and I can’t wait to share it with you today. 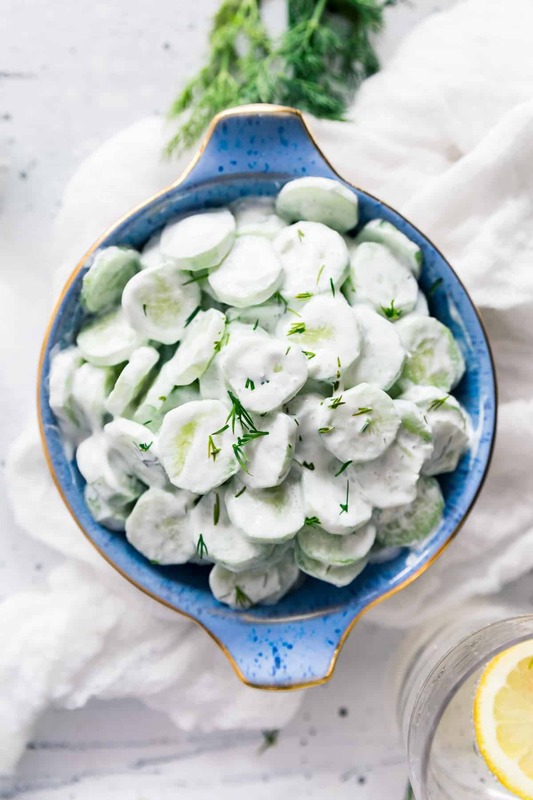 There’s something so refreshing about eating a pile of cucumbers that are seasoned with sour cream, vinegar, fresh herbs, and more. 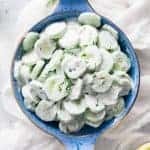 They taste a bit like cucumbers in a ranch dressing, but they are better and not as heavy as that much ranch would be. I make this recipe with all sour cream for my creamy factor but you can also use mayo or Greek yogurt (or a combination of two of those) in your recipe. 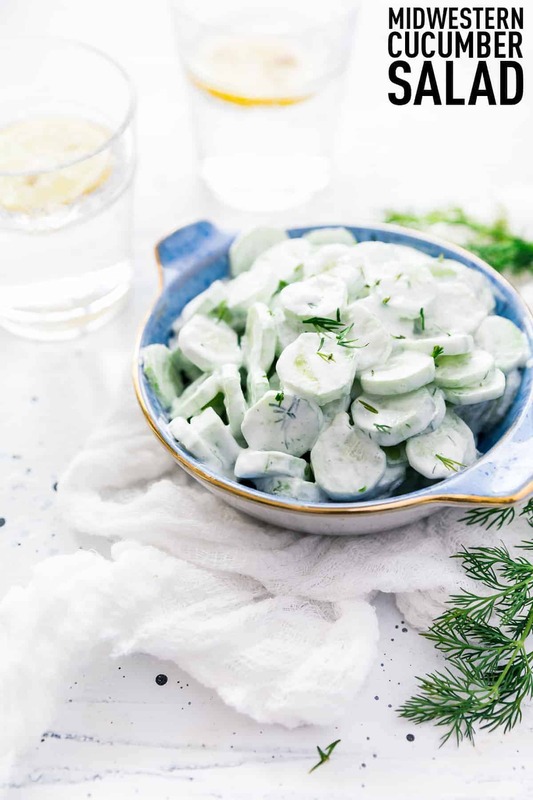 They all taste great; I think it just depends on how your mom made it when it comes to this creamy cucumber and vinegar salad recipe. This is a great addition to anything on the grill (such a simple grilled fish), plus a side of sweet corn or baked potatoes, and then some seasonal fruit (who else is excited for watermelon and summer peaches??). It can also be taken to just about any picnic, potluck, or cookout that you are invited to (just keep it cold…). It’s the perfect pair for all the things, all summer long. 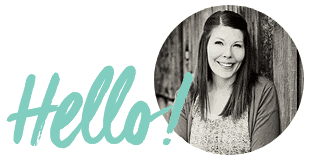 I love how inexpensive it is to make and how quickly it comes together, too. 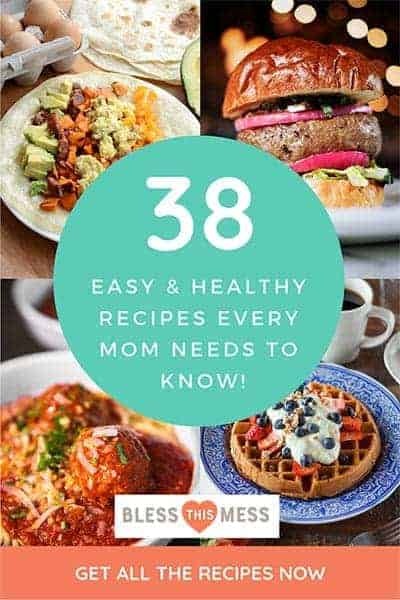 My kids can make this recipe because it’s so simple. 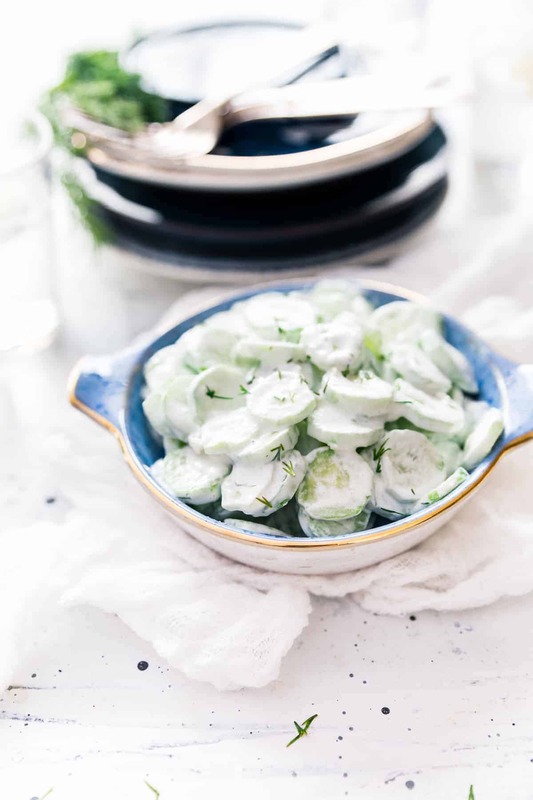 I can’t wait for you to try this simple creamy cucumber salad recipe. It’s a summer staple! Depending on what you like or have on hand, you can use sour cream, mayo, or Greek yogurt (or a combo of two of them), for this recipe. I know that my grandma uses half mayo and half sour cream traditionally, but I’ve always liked the all sour cream version. The dill is a must (so good!) in this recipe, but feel free to add other fresh herbs that you might have on hand. This is so great with some fresh chives or new onions in it and, if you like, parsley. If I’m getting cucumber from the store for this recipe, I’ll get English. If I’m picking them from the garden or out at the farmer’s market, I’ll just get what looks good. Fresh cucumbers are always a win. I’m always looking for cute bowls with lids to take things like this to parties. How cute is this lid and bowl set? Peel and thinly slice cucumbers. Sprinkle them with 2 teaspoons of kosher salt and place them in a colander in the sink, allowing the salt to draw out the excess moisture for about 30 minutes. Make the dressing by combining in a large bowl the sour cream, remaining 1 teaspoon salt, vinegar, sugar, garlic, and fresh dill and mix well. Once the cucumbers have drained, gently shake off the excess moisture and add them to the bowl with the dressing. Toss to coat and serve immediately, or refrigerate for up to 2 hours before serving. Enjoy from my kitchen to yours, friends! Wow! it looks super yummy. Thanks for sharing this recipe with us. Well you have used kosher salt. I never heard about this. I use Himalayan pink salt in cooking and really like it. It have heard so much about its health benefits. Thanks for this simpple and nice recipe. This looks so refreshing.